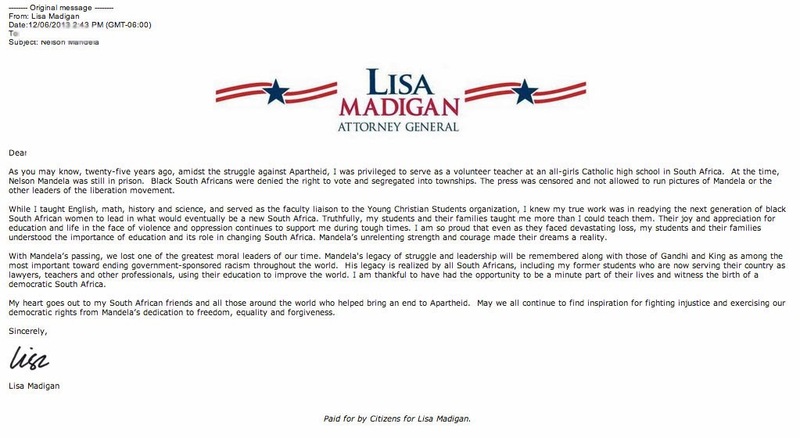 A tipster just forwarded an email they received from the Lisa Madigan campaign regarding Attorney General Madigan's take on the passing of Nelson Mandela. Man...we sure hope Lisa doesn't injure herself too bad. All that patting she's doing on her own back can't be good for her health. We mean...come on. People - even Lisa Madigan supporters - can see right through this stuff, right? How self-important can one be to have the courage to order staffers around to get "her" Nelson Mandela story up on the web. How very out of touch. How very...."Fill it up with petroleum distillate, and re-vulcanize my tires post haste." And she couldn't resist posting her congratulatory message on her Facebook. I mean...come on guys...what else is Facebook for but selfies and stuff you want people to see to make them think more highly of you, right? 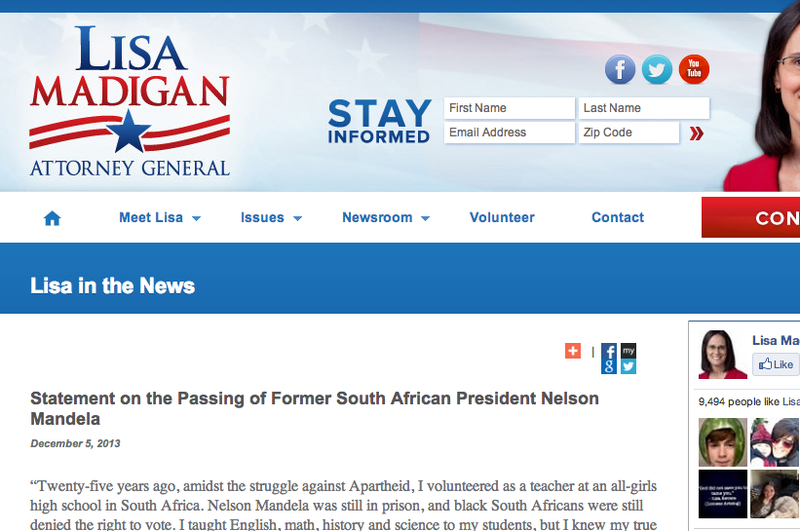 But, our Attorney General wasn't the only one to glom on to the passing of Nelson Mandela. 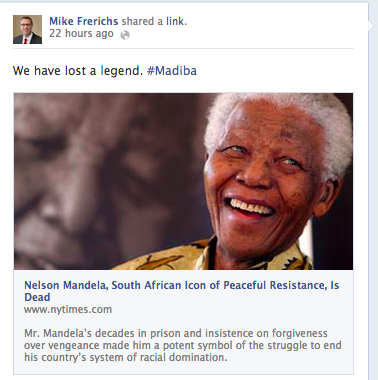 Treasurer's candidate Mike Frerichs took some time away from pimping out his website to everybody he could to do a little bit of glomming-on to the Mandela newshole, too. Some Republicans even got in on the game. 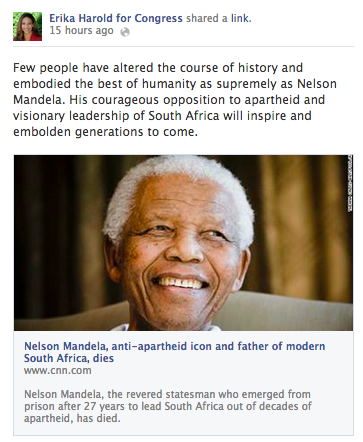 Congressional candidate Erika Harold took the Mandela-plunge with this Facebook post.